The Hudson-Chatham Winery is Columbia County’s first winery. Since opening in 2007, its wines have won many awards, including gold medals from the NY State Fair, Hudson Valley Wine & Grape Association, NY Food & Wine Classic, and the Dallas Morning News Wine Competition, among others. It has also recieved rave reviews from Wine Spectator, Wine Enthusiast, Edible Manhattan, Hudson Valley Wine magazine, Hudson Valley Magazine, Hudson Valley Table, Rural Intelligence, and All Over Albany. In the picturesque tasting room, you can also sample a wide range of locally produced gourmet products, including many Hudson Valley cheeses and locally hand made maple syrup. The winery hosts events throughout the year, and is also available for private parties. The Hudson-Chatham Winery is a proud member of the Hudson Berkshire Beverage Trail. 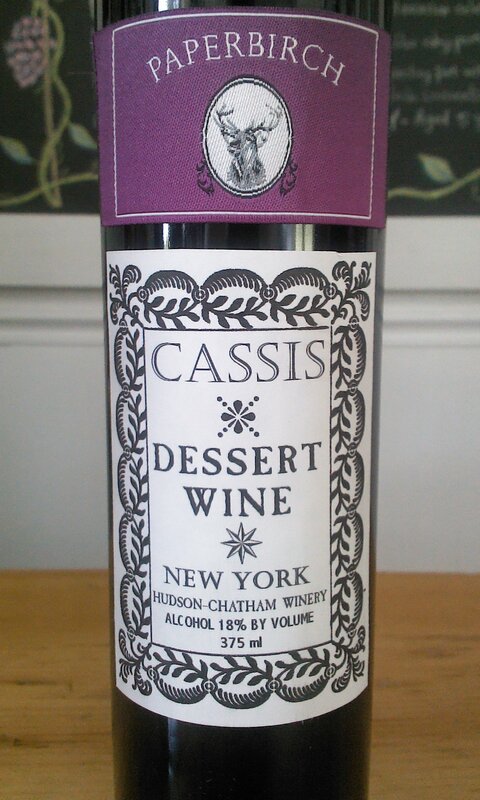 Hudson-Chatham produces a line dessett wines under their Paperbirch label. Paperbirch Cassis is their cassis. Paperbirch Cassis is a hand grown, hand picked, unfiltered, unfined, hand made wine. Berries are set in large tanks, and blended with sugar and yeast and hand turned twice a day with a large stainless steel punch, and large cheese paddle to ensure even mixing, for a period of two to four months. This is the old Burgundian style. It ensures a solid distribution of yeasts and sugar, and a consistent flavor profile, rich and aromatic. The currants were grown in Columbia County. The berries are hand picked and then blended. We use only black currant berries in our Cassis, to recreate the classic, rich, complex, tart, sweet wine that has been so popular for centuries, in the oldest way we know how. The label is a Shaker inspired design, an homage to the local Shaker heritage in Columbia County.